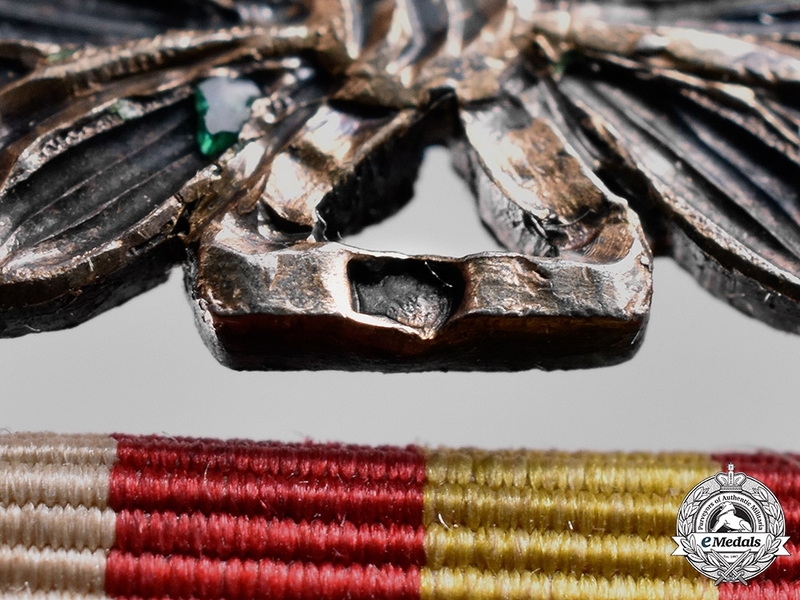 (La Cruz de Oficial de la Campaña contra El Salvador y Honduras). 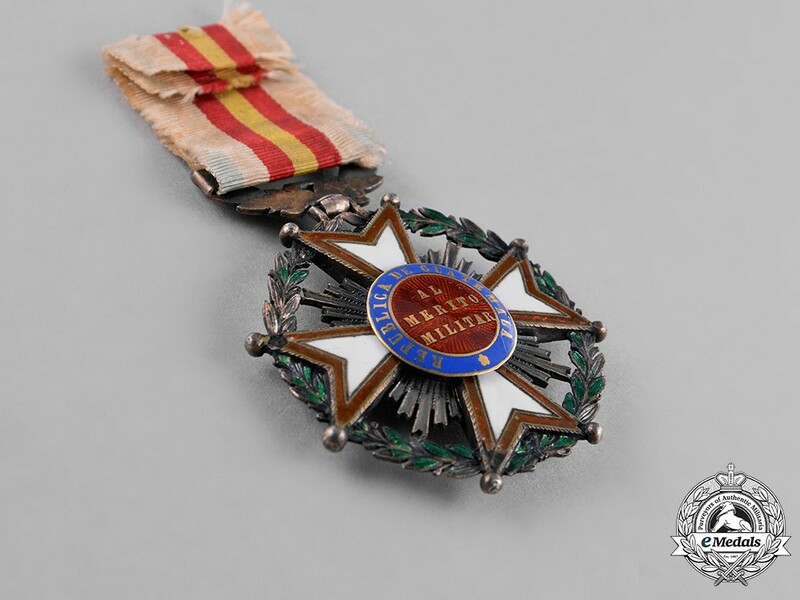 Instituted 1863. 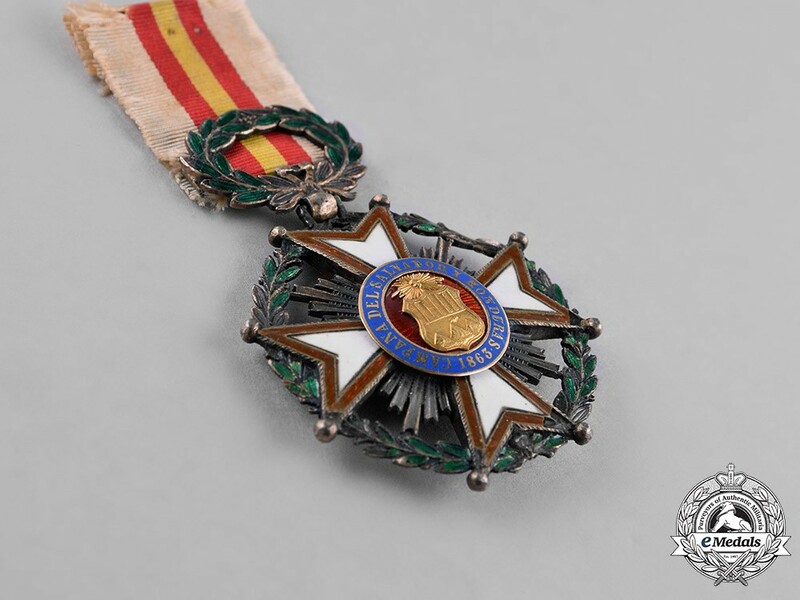 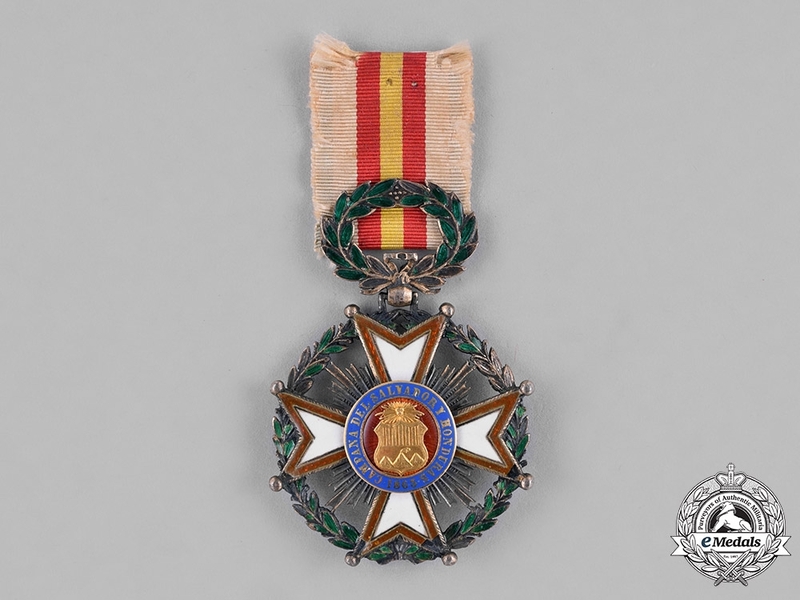 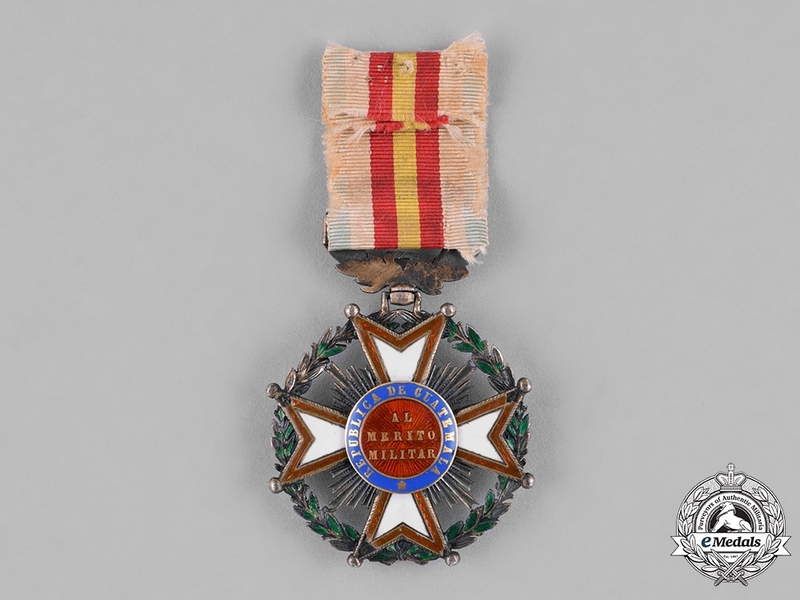 A silver Maltese cross with white enamel fields and red boarders, featuring clusters of gilded rays in each quadrant, surrounded by delicate enameled green laurel wreath also in silver gilt, with nicely obverse centre featuring enameled red centre field in Gold, superposed by a coat of arms of Guatemala also in Gold, surrounded by enameled blue border with the inscription CAMPAÑA DEL SALVADOR Y HONDURAS 1836 (Campaign against El Salvador and Honduras) in Gold, reverse centre medallion depicting beautiful enameled red centre field with the inscription AL MERITO MILITAR (To Military Merit), surrounded by the inscription REPÚBLICA DE GUATEMALA (Guatemala Republic) on an enameled blue border both in Gold, suspended by an unusual enameled green laurel wreath in silver gilt, suspension hallmarked with French assay silver hallmarked denoting manufacture since 1838, measuring 38.55 mm (w) x 55.95 mm (h- inclusive of laurel suspension), with lost of gilt, loss of green and brown enamels, near to very fine. 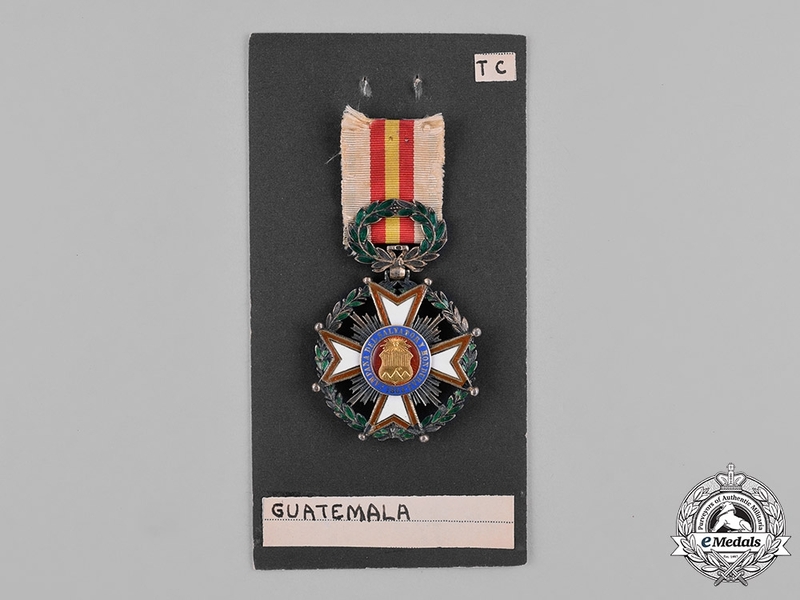 Footnote: The Cross for the Campaign against El Salvador and Honduras was authorised by President Rafael Carrera to reward Guatemalan Officers who fought in the 1863 campaign against El Salvador and Honduras.